It can be very inefficient — as well as frustrating — to run back and forth to grab additional tools because you can't carry everything you need to the job site. 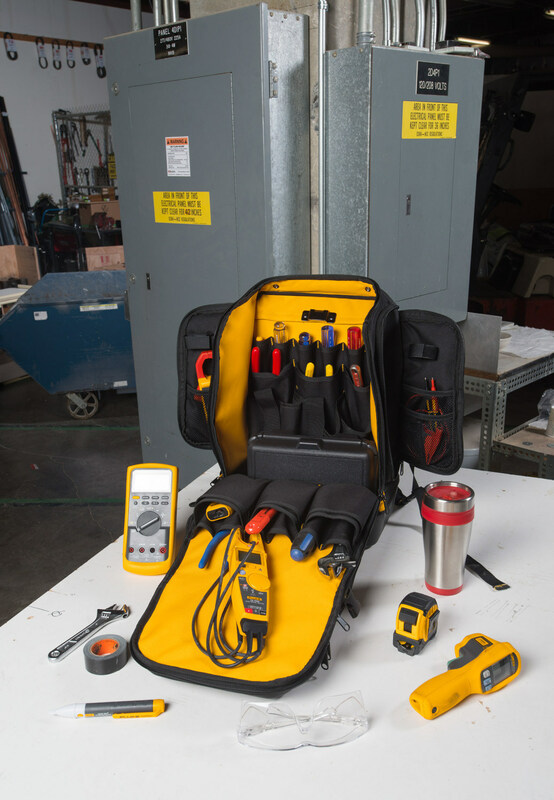 The new Fluke® Pack30 Professional Tool Backpack makes it easy to organize, transport, and access all the tools you need for the day. Designed specifically for an electrician's DMMs, clamps, tools, and accessories, the rugged backpack also protects tools even in the dirtiest work site. For today's digital user, the Fluke Pack30 offers a way to carry all the necessary tools while keeping hands free to use cell phones and tablets. Molded base also holds backpack upright, keeping tools organized and within easy reach. For more information on the Fluke Pack30 Professional Tool Backpacks, visit: http://www.fluke.com/flukepack30. Fluke tools and accessories, hard tools and other tools mentioned not included with the Fluke Pack30. For information on Fluke tools and applications, or to find the location of a distributor, contact Fluke Corporation, P.O. Box 9090, Everett, WA USA 98206, call (800) 44-FLUKE (800-443-5853), fax (425) 446-5116, e-mail fluke-info@fluke.com or visit the Fluke Web site at www.fluke.com.